Yesterday an article was published (shown below) in Bloomberg which really raised my hackles (if I indeed had hackles). The topic is how much the prices of MS medications have increased since the introduction of Gilenya. According to a MarketWatch report, "the multiple-sclerosis market could grow to $15 billion by 2015." "Currently, Teva Pharmaceutical Industries own the market's best-selling multiple-sclerosis drug, Copaxone, which had $3.3 billion in sales in 2010. Biogen's Avonex also had more than $2 billion in annual revenue, while Bayer AG's Betaseron and Merck's Rebif had more than $1 billion in sales." It is expected that Gilenya will net more than $3 billion in annual sales. When the pricing of Gilenya was announced in September, members of the MS community were outraged. I was disappointed to say the least. $4000 per month for any medication is outrageous. 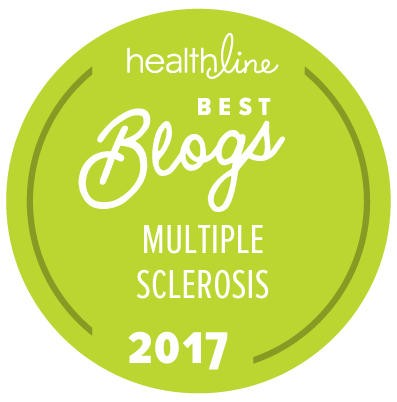 At that time, I looked up the cash prices for four other MS disease-modifying medications. Glad that I did because now we can compare how much pricing has increased in only six months. These numbers come from the same source, drugstore.com, for side-by-side comparison. When I was first prescribed Copaxone in October 2005, the price had recently been increased to $18,000 per year. It now costs 2.5 times that...a 150% increase in five years. Now that's tremendously outrageous. As you read many different financial reports and articles, you will note that the numbers quoted vary from source to source. Such is the nature of the pharmaceutical business. Patients do not have easy access to information such as wholesale price, and in all actuality, that number means very little to the end user. This is one reason I prefer to quote cash prices, the amount you would need to pay without insurance coverage. Please read the following article at its original source, Bloomberg. I only include it here as sometimes news articles change locations or become difficult to find again. The prices of multiple sclerosis medicines have risen as much as 39 percent since last year, even as competition intensified with the introduction of the first pill to treat the disease. Teva Pharmaceutical Industries Ltd. (TEVA) said it raised the price of its MS drug, Copaxone, to about $42,300 a year, a 39 percent jump since January 2010. In September, Novartis AG (NOVN) won approval for Gilenya, pricing it even higher at $48,000, in part because it’s the first drug in pill form, while the other treatments must be injected or infused. As analysts say Gilenya will take a significant share of the market, charging more for the older therapies is a way to keep revenue steady when unit sales erode. The cost of the MS drugs, which patients generally take for life, now rivals that of cancer medicines such as Roche Holding AG (ROG)’s $50,000-a-year Avastin. The MS treatments may be out of reach for patients who don’t have insurance or don’t qualify for help from the companies, at a time when governments worldwide are seeking to rein in health-care spending. Teva and Biogen Idec Inc. (BIIB), which makes the Tysabri and Avonex drugs, responded with their own price increases as the companies sought to generate more revenue before Gilenya wins significant market share. Novartis, based in Basel, Switzerland, was able to demand a premium for Gilenya because it frees patients from injections, Fabian Wenner, an analyst with UBS AG in Zurich, said in an interview. The pill’s monthly cost was initially between $800 and $1,200 higher than existing drugs, according to prices from the website DestinationRx.com. Gilenya’s pricing reflects the company’s research costs and the advance in treatment it offers patients, said Eric Althoff, a Novartis spokesman, in September. He didn’t respond to requests by phone and e-mail last week for additional comment. Avonex, sold by Weston, Massachusetts-based Biogen, had a 6 percent price increase in December, according to a March 7 note by RBC Capital Markets analysts who cited IMS Health Inc. data. Total prescriptions for Avonex have declined 4 percent since Gilenya entered the market, the RBC analysts said. Shannon Altimari, a spokeswoman for Biogen, said the company doesn’t disclose historical pricing information. Copaxone’s price rose 9.9 percent in January 2010, 9.9 percent in May, and 14.9 percent in January 2011, Teva said. The medicine costs about $3,524 a month based on the wholesale acquisition price, according to Petah Tikva, Israel-based Teva. That’s about $42,300 a year. DestinationRx lists the annual cost at about $45,046. Biogen’s Tysabri costs about $3,566 a month, or $42,788 a year, while Avonex’s price is $37,544, according to Biogen. The U.S. company markets Tysabri with Dublin-based Elan Corp.
“Biogen Idec and Elan are committed to new and existing patients having access to Tysabri” for approved uses, Elan said in an e-mailed statement. The companies said they have programs to assist patients with their out-of-pocket costs for the medicines. The wholesale price for Bayer AG’s Betaseron is $37,294 a year, according to the Leverkusen, Germany-based company. Merck KGaA (MRK), based in Darmstadt, Germany, said the wholesale cost of its Rebif drug is $36,825 a year. Both companies said they also offer patient assistance programs. The prices may rise further, Leerink Swann & Co. analysts said in a Feb. 7 note to clients. A doctor Leerink interviewed “is unaware of the levels at which point the insurers may start to push back and sees room for additional increases,” the analysts said. The MS treatments are part of a burgeoning category known as specialty drugs, which are designed for diseases that have enormous effect on people’s lives, such as MS or cancer, said Jacqueline Kosecoff, chief executive officer at Prescription Solutions, the pharmacy benefits manager owned by UnitedHealth Group Inc.
MS causes the immune system to attack the insulating tissue around nerve fibers. This stops nerve cells from sending signals, sapping patients’ energy, blurring their vision and slowly robbing them of mobility, balance and coordination. The disease affects about 2.1 million people worldwide, many of whom have trouble sticking with injected or infused therapies because they’re difficult to use or have side effects, according to the MS Society, a New York-based patient group. 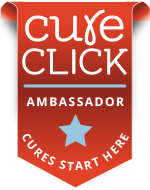 “People are frustrated, hoping for medical treatment that will really help, and yet everything is just out of reach,” said Kathleen Wilson of Eugene, Oregon, who founded MSWorld, a patient message board with more than 45,000 members, in an interview. Some MS patients qualify for coverage through Medicare, the U.S. health insurance program for the elderly and disabled. Medicare enrollees may pay about $600 a month out of their own pockets for an injection that costs $1,600 to $2,400 a month, said Lakatos-Shaffer, the Dallas-based patient counselor. Most Medicare patients she advises have limited incomes, keeping disease-modifying drugs out of reach even with government help. Doctors predicted that Novartis’s Gilenya will imperil sales of all MS drugs in the coming 12 months, Citigroup Inc. analysts including Yaron Werber said in a Feb. 8 note to clients, which was based on a survey of neurologists who treat MS patients. The doctors expected Biogen’s Tysabri will be hurt more than Avonex will, probably because those with a severe form of MS wouldn’t be put on Avonex, Werber said in an interview. Novartis booked $13 million of Gilenya sales last year, the company said in January. The medicine may earn between $60 million and $70 million in the first quarter of this year, according to Michael Yee, an analyst with RBC. Copaxone, Teva’s best-selling drug, brought in $3.3 billion last year. Avonex had sales of $2.5 billion, while Tysabri generated $900 million. Gilenya is set to lead the market in 2017, Leerink estimates, with $2.9 billion in global sales, and Copaxone would be in second place at $2.7 billion. Total sales of MS drugs will grow to about $15 billion from $10 billion now, Leerink said. Under Novartis’s patient assistance program, the company pays out-of-pocket costs for those who aren’t on Medicare. The Swiss drugmaker pays as much as $800 monthly in co-payments for Gilenya, and helps patients navigate testing and monitoring recommended by U.S. regulators, paying as much as $600. Patients need to be monitored for six hours after their first dose of Gilenya, along with checks of the liver, eyes, blood and heart. Teva provides assistance and support programs, according to Denise Bradley, a Teva spokeswoman, who didn’t elaborate on eligibility requirements and the percentage of Copaxone patients involved in the programs. Biogen spent $230 million on its patient assistance programs and charitable donations, Biogen’s Altimari said. The company will help patients better understand what their insurance will cover and determine out-of-pocket costs, as well as assist with co-payments and other services. “Our belief is that patients should have access to the therapy they need to treat their disease, regardless of their financial situation,” Altimari said in an e-mailed statement. Dean Kramer, 60, doesn’t qualify for such programs because of her retirement fund. Diagnosed in 1984, Kramer started taking Teva’s Copaxone in the late 1990s and recalls the drug cost $1,100 a month then. She had to pay $100 of that out of her own pocket each month. Then a job change forced Kramer to switch to a less generous insurer. After a year’s subsidy from a charity program, the Maryland resident faced a choice between dipping into her retirement fund or quitting her MS therapy. She chose to quit. Kramer relies on diet, exercise and two cheap medicines to improve her mobility. Gilenya is intriguing because it’s more effective than the older therapies, Kramer said. She’s waiting to see the side effects, aware that her personal cost-benefit calculation may change if her symptoms worsen. “People get desperate and look for anything that will make them feel better,” she said in a telephone interview. The price increases may not be sustainable for the older drugs, said Trung Huynh, a London-based analyst with Datamonitor, a business information and market analysis company. The market will soon get more competition. Three oral drugs are in late-stage testing and may be available within the next one to two years, according to UBS’s Wenner. They are Teva’s laquinimod, Biogen’s BG-12 and teriflunomide from Sanofi-Aventis SA of Paris. A fourth medicine, Merck KGaA’s cladribine, was rejected by European regulators last year and failed to win U.S. approval this month. “The oral drugs are the bright shining star for us, but it’s no closer than not having an oral drug at all, with Gilenya priced so high,” Lakatos-Shaffer said. To contact the editor responsible for this story: Phil Serafino at pserafino@bloomberg.net. Thanks, Lisa. I'm not at all surprised! I stopped all DMDs last fall, and really had to argue with my neurologist's PA about my decision. Did you also know that these same pharma companies pay doctors large fees to promote the drugs? No wonder they push them! Hi Muff, anytime the subject of drug costs comes up I get so annoyed. It was such hell to qualify for the assistance program to get Copaxone after I was first diagnosed. And the way insurance coverage for drugs is structured makes me equally as ruffled. My neuro is pro-drug but not pushy about it on a patient-by-patient basis. In fact, he took me off MS drugs a year and a half ago. I haven't missed it at all. However, I did start a new drug which is working very well for me (more expensive than the MS drugs - Rituxan). One thing which my neuro does do (with pharma money) is offer support groups. During my first year, I attended the newly-diagnosed monthly meetings and found them extraordinarily helpful. I think that once it was mentioned who the sponsor of the series was (because that is the requirement when things are funded - transparency and all). Ironically, nobody in my particular group used the drug from the company who provided the educational grant. The benefit of funding depends so much on what people actually do with it. I could go around in circles talking about this stuff. No wonder there is so much controversy involved. The price amounts to what are you willing to pay to be well? If MS were like cancer, the drugs would be covered. I believe in DMD's after working in neuro in the 80's and seeing how fast progression is without. Great post, Lisa. My MS nurse (the original one I worked with and who is now retired) talked often about how the office 'used to be' before the MS drugs were available. She worked in the field of MS for over 26 years with 22-23 of them in the same practice. That's a long continuum of care to be able to see changes in trends over large groups of patients. I have/had no option but to believe her. 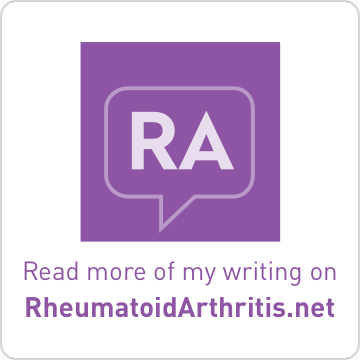 With a disease such as RA, it becomes obvious if a patient responses to disease-modifying treatment. There is improvement! 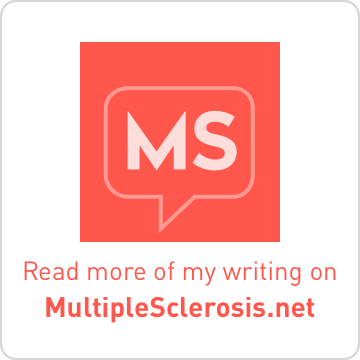 With MS drugs, it may not be so obvious. I 'think' that Copaxone slowed things down a bit and kept me fairly stable (with some obvious accumulation of disability and symptoms). But Rituxan actually improved my functioning and quality of life last year. I just wish that the cost weren't growing at such a huge rate. It doesn't seem right that companies would raise prices in anticipation of new competition and then further prices to match competition. It seems just the opposite of what traditional product marketing would do....offering a product at a discount from the competition. Prices for goods are supposed to go down over time, not up and up. Right? Pharma does everything backward in this regard and it puts a strain on the healthcare system (although you can find research which states pharma is responsible for only a tiny percentage of the increase of healthcare costs). Inflation is out of control. My background is in implantable cardiac devices. That is causing me to be so leery of doctor's because I know something is in it for them. I don't work anymore. I've been on every drug mentioned in your post (with the exception of the one you are taking now). My doc really pushed Copaxone. That made me suspicious right from the beginning. I just believe that when it comes to health and medicine, today its a sad story. Lisa, you are such a wealth of information. You are like my hub for blogging. You know like airlines have? I'd like to sell something where I can say, "and if nothing changes, you know it's working." Sheesh! What Does MS Equal To You? How Are You Using Technology for Health?